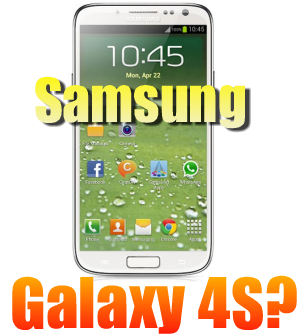 Samsung Galaxy 4S Information - Hot Off The Press! You either reached this site because you are an avid, rabid Carlton Zone Blog fan, or you were searching for the Samsung Galaxy 4S in vein. But lucky for you, this site is the only "legitimate" search result for the 300,000 people looking for this non-existent phone each and every month. It's halfway comical, and also half marketing success story on behalf of Apple. While you searchers were really wanting to find more information on the up-and-coming Samsung Galaxy S4 smartphone, you mindlessly used Apple's crusty old nomenclature for their boring 5th generation device. When I see "4S" coupled with "Samsung Galaxy", it makes me cringe. Why? Because it dredges up the frustrating, painful memories that I have stuck in my mind from the days of owning an iPhone 4. Fortunately for me, I was liberated on October 24th, 2012 when I purchased my Samsung Galaxy S2, which I now own and love. But back to the topic at hand... hats off to Apple for brainwashing at least 300,000 people per month and causing them to mindlessly search for the vaporware device listed in the title. My bet is that the searchers are current cult members who are trying to escape the stronghold Apple has on their minds. Fear not, brainwashed Apple refugees, for you have not actually found this site in vein. You have reached the promised land of Android, and I will lead you to the light. Crank back a few stories and start to read what I have provided about the rumors surrounding your smartphone savior, the Samsung Galaxy S4. 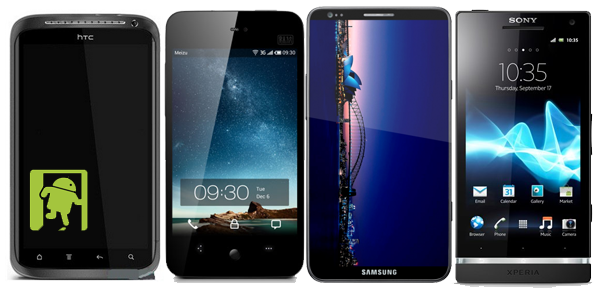 GET THE BEST DEALS ON SMARTPHONES AT AMAZON WIRELESS! Click the link now to shop at Amazon Wireless for the best smartphone deals in the nation, on all major carriers! You'll be surprised when you see how much you can save on a new smartphone with a 2-year contract over what you'll pay at your local carrier retail location! Hit the link above or click on the picture and jump to the Amazon Wireless Store, and help support the Carlton Zone Blog site!